As students around the country prepare to receive their exam results on Thursday (18 August), a new national survey commissioned by Northumbria University has revealed around half of current A Level and BTEC students aren’t fully aware of the options available to them since recent changes to the clearing process came into effect. 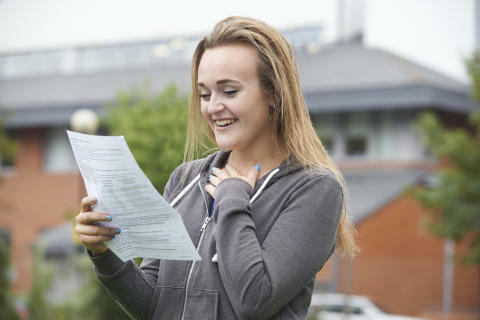 The research, which was carried out in the run up to A level results day, looked at students’ perceptions of the options available to them after receiving their exam results. While the concept of applying for a place through clearing was widely understood by the majority of students (56%), a surprising 46% of those surveyed hadn’t heard of the adjustment process, which has now been available for two years. A further 26% said they were aware of it but didn’t understand what it meant. Almost three quarters (74%) of students said they would accept their existing offer even if they got better grades than initially anticipated, suggesting many students have a clear idea in mind when it comes to their course of choice and institution. This is backed up by survey findings that the ‘right course’ and academic reputation of a university are the most important reasons for choosing a university, with 55% of students stating they made the decision on the ‘right course’ for them, and over 40% selecting based on academic reputation. The findings also suggest students feel the pressure before picking up their results, with six in 10 (59%) worried they might not get the grades they need and more than half (51%) concerned they won’t get into their chosen university. Around a third of students said they would go through the clearing process if they got worse grades than expected – with a quarter (23%) of females saying they are happy to have clearing to ‘fall back on’, compared to 12% of males. 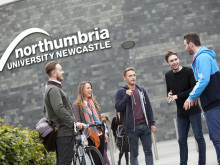 Northumbria University’s survey highlights the importance of students having a full understanding of the options available to them as results day edges ever closer. Helen Bower, Assistant Marketing Director (Undergraduate), said: “The clearing process has changed significantly in recent years and the option to ‘trade up’ now gives students the opportunity to reconsider their original choice if they have done better than expected in their exams. 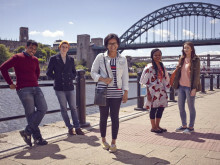 “At Northumbria, we understand that a lot of students have deliberated long and hard about which university they feel is the right one for them. They have already “mentally moved” to their chosen university, regardless of the results they receive. At the same time, we do recognise that there is a lot for students to consider and take in during their final year at school or college. It’s understandable that students can feel confused or overwhelmed by the options available to them on what can be a very stressful day, and the way the clearing process is set-up gives young people more flexibility and potentially opens new doors. Helen added: “Preparation is key and students should think carefully in advance about what they’re going to do in all scenarios – whether they get better grades than expected or if they miss out on their first choice and are in a position to take up their insurance choice. It’s natural to think that ‘Plan A’ will work out but this isn’t always the case. According to the survey, the long-term aspirations for students don’t appear to be driven by financial or material factors, with students placing having a happy and healthy life, successful careers and travel experiences as their main aspirations. Helen added: “Students want to know the university they are choosing has the quality, career opportunities, study abroad and placement opportunities they are looking for in terms of their experience at university. But what is often just as important is the life experience of being at university; making friends, new social circles, new experiences, new opportunities to travel and that independence of moving away from home for students. Law student Dominika Cudak, from Newcastle, secured her place at Northumbria University using adjustment after exceeding expectations with her A Level results. The 20-year-old said: “I originally wanted to do a philosophy course and do a law conversion but because my grades were so good I decided to do law straight away. “I first found out about adjustment just before results day. When I got my results I rang a few universities asking if I could get in. Northumbria said they were really happy to have me with the grades I had and I secured a place really quickly that day. 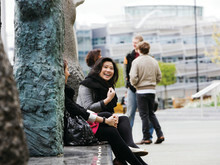 Northumbria University has a limited number of places available for high quality students through Clearing this summer. For more information, visit www.northumbria.ac.uk/clearing or call the Clearing Hotline on 0800 085 1085. Have your UCAS personal ID number to hand, plus all of your qualifications to give the university all of the information they will need. If you know the name of the course you’re interested in, have the title and UCAS code to hand too. Consider all your options. Choosing the right university is a big decision and it’s important to think carefully before you commit. Don’t feel pressured to go for any option – it’s your choice. Always speak to the university yourself. They will have questions for you, and vice versa, and you’ll also be able to speak with subject tutors who will want to talk to you, not a parent. Make a note of your work and life experiences. These could prove very useful when you’re talking to the university if you can demonstrate additional skills that others may not have. You may be asked to come in for an interview or to share your portfolio of work. If so, you’ll need to note down the date, time and location of your interview, as well as who you’ll be meeting, or any instructions you are given about sending us your portfolio. If you have a media enquiry please contact our Media and Communications team at media.communications@northumbria.ac.uk or call 0191 227 4571. Prior to publication, it must be approved by Northumbria University, Newcastle. Students at Northumbria are officially more satisfied than ever before with the University jumping straight into the top 20 in this year’s Times Higher Education Student Experience Survey. ​​Northumbria ranked top in the UK for nightlife! Northumbria University has ranked joint top in a survey for offering the UK’s best city for university nightlife, according to the latest Which? University student survey. 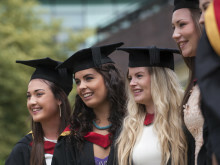 ​Northumbria University graduates are far more likely to gain professional employment than those from other universities, according to the latest nationwide graduate employability survey. ​Northumbria University continues to outperform the sector for student satisfaction, according to the results of the 2016 National Student Survey, released yesterday (Wednesday 10 August). Share your views during Survey Time! 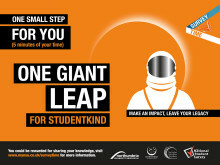 ​From 1 February, all students are asked to share their feedback of their experiences at Northumbria University. ​An Ofsted inspection of teacher training provided by Northumbria University has been rated as ‘outstanding’ – meaning the University has now held this rating for 14 years. ​Northumbria University, Newcastle, is among the UK’s biggest climbers in the 2017 Guardian University League Table.